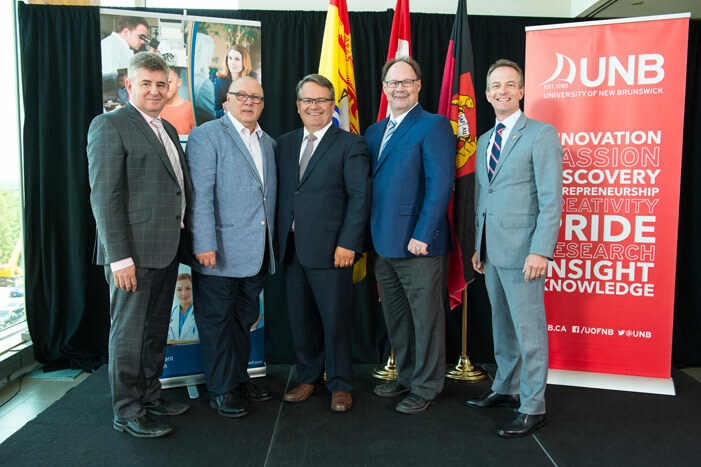 The New Brunswick Health Research Foundation and Tetra Bio-Pharma Inc. (CSE:TBP) (OTCQB:TBPMF) are investing a combined $1 million, $500,000 each, over five years to establish a Health Research Chair in Cannabis at the University of New Brunswick. The chair will focus on the study of biochemistry, medicinal use and pharmacology of cannabis. This research will expand UNB’s commitment to research and innovation in the field of natural product and biomedical, health and life sciences – adding to its reputation as a leader in natural products research. Potential research areas for the chair include the analysis of existing cannabis literature, in order to understand inconsistencies and identify needs for future research; the biochemistry and medicinal chemistry analyses of cannabis; and preclinical pharmacology studies. The recruitment and nomination process will be conducted at the University of New Brunswick for a tenure-track faculty member. Funding for the chair is expected to start in the 2017-18 fiscal year. “We are honoured to invest with the New Brunswick Health Research Foundation in establishing a research chair at the University of New Brunswick as Tetra Bio-Pharma positions itself as a global leader in pharmaceutical cannabis. Tetra Bio-Pharma has performed the first clinical trial for smokeable marijuana being developed as a prescribing drug. This clinical research has generated a new understanding to the safety of smoking medical cannabis. Tetra Bio-Pharma develops cannabis products according to pharmaceutical drug standard and I am pleased to say that we are now fast tracking the development of PPP001 to launch phase IIII clinical trials. The Tetra Bio-Pharma team has partnered with the New Brunswick Health Research Foundation to help develop innovative cannabis-based therapies and accelerate research to bring medical cannabis to patients,” says Andre Rancourt, chairman of the board of directors of Tetra Bio-Pharma. Dr. Guy Chamberland, chief scientific officer of Tetra Bio-Pharma added, “Over the past few years, the province of New Brunswick has positioned itself on the forefront as global leaders in the development of cannabis products for health care. The Tetra team has partnered with the New Brunswick Health Research Foundation to help bring innovative cannabis-based therapies to patients. This research will expand the university’s capacity to train, mentor and prepare undergraduate and graduate students to work effectively in botanical product research.